It’s not just about building websites. It’s about building relationships with my clients and creating amazing things together. I will create for you a bespoke online platform to sell your products, connect with your customers or showcase your artwork. I can also update and redesign your current website to bring it up to date. I’ll take care of the ‘techy stuff’ and let you focus on your business. I will create your Social Media channels and integrate them with your website, help you create an Online Marketing Strategy, manage your campaigns and advise how to navigate the exciting world of Social Platforms to promote your business online. I provide customised WordPress and Social Media training. Whether you want to learn how to update and maintain your WordPress website or need to get a better understating of how to get the most out of your Social Media channels, let’s chat! I love working with Entrepreneurs, Small to Medium Size Business Owners, Bloggers and Artists to help them build their online presence and conquer the digital world. Browse through my portfolio and have a look at some of the great things we’ve created with my amazing clients! 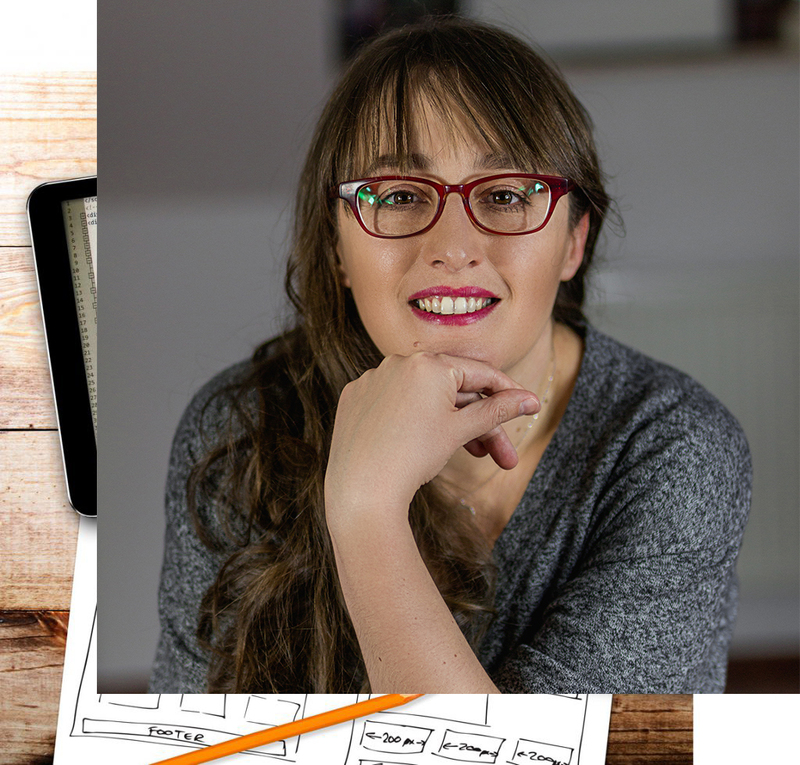 Hi, I’m Anna, a web designer and digital marketing consultant based in Dublin, Ireland. I’m a giant nerd for this stuff and I love meeting new people, so if you want to grab a coffee and chat about your next project or anything digital, send me a message! Can’t recommend highly enough. Anna is professional, communicative, efficient and most of all produces really attractive easy to use websites. 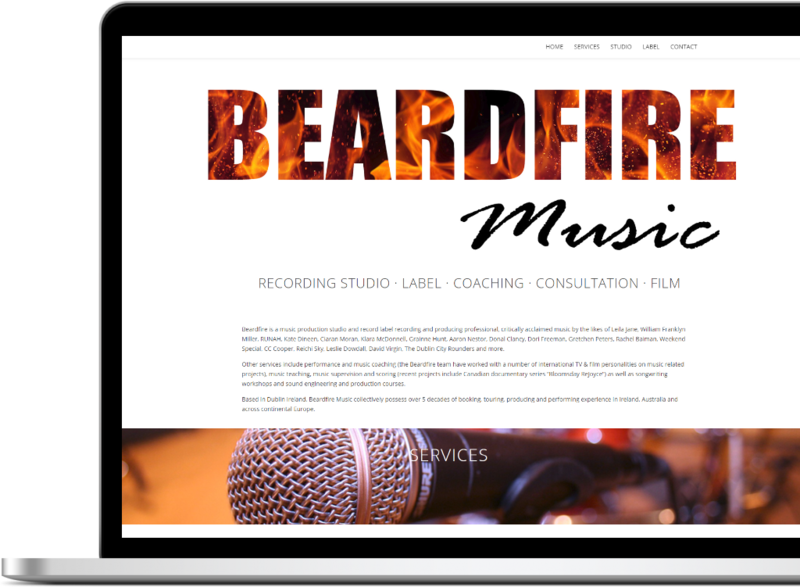 I’ve had loads of positive comment about my site Beardfire.com and already seeing business increase! 5 stars. Anna is patient, talented and very supportive of your vision in developing and building your site. She gets where you are coming from and with her skills and experience is able to a little something extra to help it stand out. Highly recommend Anna. Anna of Anya Design Studio recently designed websites for me for two music album projects. Anna will also be handling a third album website project for me this autumn. I found Anna a dream to work with in terms of quickly grasping the brief. Her turnaround time is impressive. Right throughout the project she was extremely responsive to queries. Once I made material available to her, she uploaded the text and images within 24 hours. I could not have been more pleased with the outcome. Given the quality of finished product and the excellent level of technical service provided, I regard Anna’s price structure as very competitive. My name is Ciara O’Keeffe and I am a ceramic artist. Anna designed my ecommerce website (which I love) and thankfully made it a pain free process. Anna delivers great design partnered with a professional friendly service. She is always available to answer questions and walked me through the setting up of my website making it so accessible to me as I’m not very confident with technology. Thanks to Anna my website is at the heart of my business and is going from strength to strength. I would recommend Anna again and again and wish her all the best for her very bright future! We have worked with Anna over the last few months. She has made a huge difference to our drivingtestcarhire.ie site in terms of its look, feel and most importantly our Google rankings. She is quick to respond to the smallest query and very professional to deal with. However what has impressed most is her innate understanding of what we are trying to do and her willingness to offer solutions to problems that have cropped up. We would have no hesitation in recommending Anna for your IT needs. Anna helped us through the process of setting up our website with the highest level of professionalism in the market. She made it easy and always advised us on the best options for our business. We were delighted with the finished product and it was a pleasure to work with her on this project. I would have no hesitation in recommending Anya for any new start up website or for updates to existing platforms. I found Anna to be very helpful, knowledgeable and accommodating. She adapted our website and showed us how to update sections ourselves to allow us keep our pages current. I would have no problem in recommending her services to anyone. Anna worked on a number of digital and web design projects for me. She built two websites, Beardfire and Common Sense, and both were clean, stylish, user friendly and completed and updated in a prompt and professional manner. I’ve also used Anna as a photographer and graphic designer, and wouldn’t hesitate to do so again as she’s well experienced in those fields too. We have found Anna to be extremely good at her job. She is someone we would recommend if you are looking to have a website built. I would definitely recommend Anna to a friend. She did a great job with my business website. Anna is a great addition to any technical team. She is very detail oriented and can be counted on to go the extra mile to bring the projects to completion. Her self-motivation and problem solving skills have been greatly valued by our team. She has a very positive attitude and her willingness to help others has helped us on numerous occasions. I would hire Anna again without hesitation. Get in touch to arrange a free consultation on how to get your business online. All challenges accepted!